Portland is lighthouses and lobsters, and urban sophistication that’s creating quite a stir. 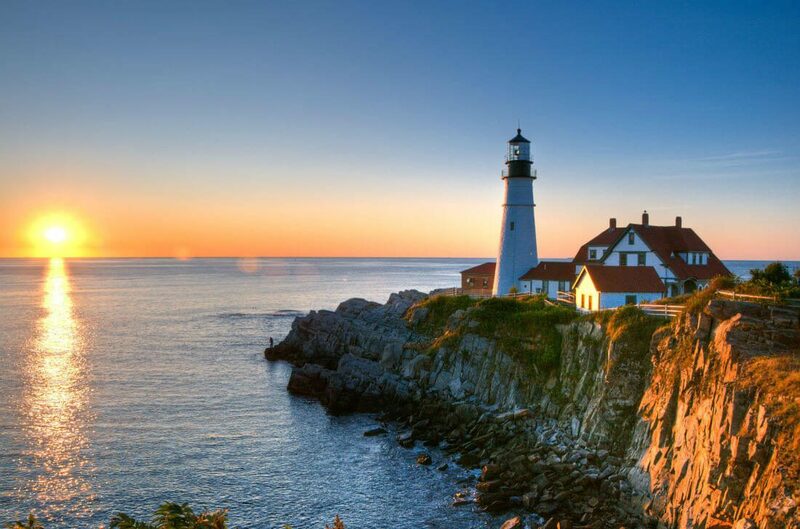 In Greater Portland you’ll experience the quintessential Maine coast along with a welcome mat for all veterans groups. Visit Portland Head Light, built in 1791 and authorized by President George Washington. It is the oldest lighthouse in Maine, and also the most photographed. The childhood home of Henry Wadsworth Longfellow, The Victoria Mansion, Bug Light (site of the former World War II shipyard that gave the world Rosie the Riveter) and the Liberty Ships Memorial are just a few of the landmarks you’ll see as you travel the city streets. Join the Maine tradition at Foster’s for an authentic New England Clambake, and drive by Nubble Light House for a brief picture stop. Take an excursion to Freeport, Kennebunkport, and the scenic Maine coast.